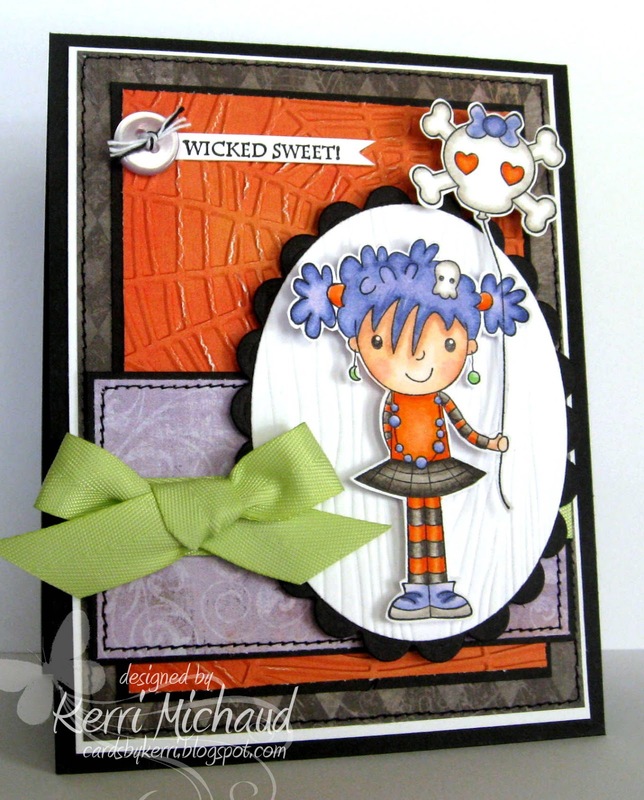 I used this super fun image from Your Next Stamp called Wicked Sweet. 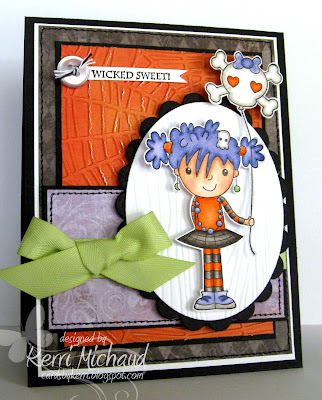 I paired her with some Fancy Pants Designs Oct 31st dp and the layout is the Sweet Stop Sketch #180. Thank you so much for stopping by today! I hope you have a wonderful Wednesday! eek! She's soooooo cute!!! Love her skull balloon....hehe!~ GREAT Halloween card! OMGosh, TOO cute, Kerri! Your coloring is so fabulous! And I'm not normally a skull/skeleton liker, but this is definitely an exception! That image is darling! What a fun card and gotta love that purple hair - lol! Just adorable! I really love her amethyst hair!! Love that adorable girl image and the cute girly skull. REALLY great looking card!! What a fun Halloween card! I love how you've colored this cute image, her purple hair and striped stockings crack me up! What a super cute Halloween card, Kerri....the image is sooo adorable, especially with her amethyst hair and the bone balloon cracked me up!!!!!! Too sweet! 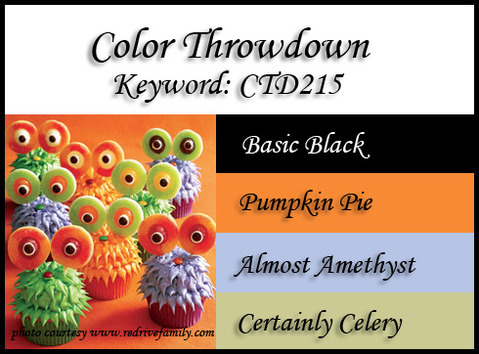 Love how you colored the image--and the fabulous spiderweb background, too.